A lot of history is being casually tossed around these days. We see it from energized segments of the "alt-right" throwing up Nazi salutes, calling for a "revolution" against "the Bolsheviks" and marching to chants like "Jews will not replace us." We see it from their anti-fascist adversaries on the left, branding themselves antifa, a movement that draws its roots from the Antifaschistische Aktion resistance from 1930s Germany. We see it from world leaders when Turkish President Recep Tayyip Erdogan brazenly calls his German and Dutch counterparts Nazis and fascists and when U.S. President Donald Trump ardently defends Confederate statues as symbols of "heritage not hate." We see it from jihadist groups like the Islamic State when a member of the Barcelona attack cell calling himself Abu Lais of Cordoba spookily reminds Spanish Christians to remember "the Muslim blood spilled" during the Spanish Inquisition as the group fights to reincorporate "Al Andalus" into a revived caliphate. The Third Reich. The Bolshevik Revolution. The American Civil War. The Spanish Inquisition. This is heavy, heavy history. Yet in the words of some actors, some of the darkest days of our historical memory seem to take on a weightless form in today's angst-ridden political discourse. While jarring to observe, this kind of historical levity is to be expected whenever the world moves through a major inflection point. When more wretched periods of history lie just beyond the horizon of the current generation, they become fuzzy, impersonal anecdotes rather than visceral memories that impress upon everyday lives. And when the future looks especially bleak to that same generation, a raucous few can capture the minds of many by plunging deep into the depths of a blemished history to conjure up leaders and legends that, with a bit of polishing and dusting off, can serve as the unadulterated icons of a new world order. China and India have defused one of their worst border flare-ups in decades, which had threatened to trigger an armed conflict between the nuclear-armed Asian giants. However, the damage the 10-week troop standoff inflicted on the already frayed bilateral relationship will not be easy to repair. Indeed, the China-India divide over border, water, trade, maritime and other issues, including transportation and economic corridors, may only widen. There is also the risk that the end of the face-off on the small Himalayan plateau of Doklam could prove just a temporary respite from border tensions before confrontation flares anew. Beijing had all along insisted that if there was any dispute over Doklam -- home to mainly Bhutanese shepherds -- it was between China and tiny Bhutan. But, ultimately, it accepted a deal with the country it said had no role at all, India, which it labeled an "illegal trespasser." The Chinese Communist Party and its People's Liberation Army may find it difficult to live with a retreat that China was compelled to make after failing to intimidate India into submission through torrents of vitriol and warmongering. China's record under communist rule shows that it has at times retreated only to open a new front in the same area or elsewhere. The United States and India should work together to reinstate the quadrilateral security dialogue. In the process of making his case for America’s commitment to Afghanistan, President Donald Trump called for a strategic partnership with India. He is absolutely right about that, but as he allowed in the speech, the need is bigger than a common vision for Afghanistan. It is just as important to integrate India into a strategy capable of addressing broader region concerns and to house it in an institution capable of incorporating the views of America’s other allies and friends. To this end, the United States and India should work together to reinstate the quadrilateral security dialogue (or “quad”). The truth is, as serious as American and Indian interests are in Afghanistan, the longer-term, more difficult, more consequential challenge is the rise of China. President Trump is right to focus on the global terrorist threat that could once again emerge from the Af-Pak region. The United States cannot allow Afghanistan to again become a lawless safe haven for terrorists able to wreak destruction half a world away. But as much as 9/11 and America’s (and its allies’) response to it changed the world, the rise of China as a major economic, political and diplomatic power—with its own ideas about the international order—will have an even farther reaching, deeper impact. Down the centuries foreigners have also come to India for rather more concrete reasons: the promise of trading opportunities and great wealth; invasion, conquest and the creation of empires; imperial service and missionary work; spiritual enlightenment. In his wide-ranging and hugely entertaining new book, Sam Miller explores the varied motives that brought people to India, their experiences when they got there, and the portraits they provided of the country and its people in the form of letters, diaries, memoirs, travel books, novels, poems and would-be anthropological, archaeological, cultural and other studies. Arun Kumar’s book ‘Understanding the Black Economy and Black Money in India’ dissects the biggest dampener to the growth of the Indian economy. That demonetisation hasn’t really been a magic wand that could cast a spell on the economy and rid it off its ills is clearer than ever. With its costs continuing to outweigh the proposed benefits, the black economy which was supposed to be the biggest prey of demonetisation seems to have only found new ways of carrying on its activities. Author Arun Kumar, in his book ‘Understanding the Black Economy and Black Money in India: An Enquiry into Causes, Consequences and Remedies’ dissects the black money problem and provides ways to overcome the monstrous menace of the black economy in the country which is estimated to be 62 per cent of the gross domestic product — or about Rs 93 lakh crore. India’s incredibly ambitious—and some say, incredibly reckless—Rs11 lakh crore ($168 billion) project to interlink its rivers is finally underway. On Sept. 16, the Godavari and Krishna rivers—the second and the fourth longest rivers in the country—were linked through a canal in Andhra Pradesh. The project was completed at a cost of Rs1,300 crore ($196 million). A second scheme, the Ken-Betwa river project—estimated to cost Rs11,676 crore ($1.7 billion)—is currently under development, with completion likely by December this year. This is a part of the Narendra Modi government’s plan to revive the river-linking project, which was first envisioned in 1982, and actively taken up by the Bharatiya Janata Party government under prime minister Atal Bihari Vajpayee in 2002. Here is how the river-linking project works: The big idea is to connect37 Himalayan and peninsular rivers. So, water-surplus rivers will be dammed, and the flow will be diverted to rivers that could do with more water. In all, some 30 canals and 3,000 small and large reservoirs will be constructed with potential to generate 34 gigawatt of hydroelectric power. The canals, planned between 50 and 100 meters in width, will stretch some 15,000 kilometres. 'The possibility of another incursion, a probing manoeuvre in areas where Indian defences are vulnerable cannot be ruled out,' says BharatShakti.in Co-Founder Nitin A Gokhale, the distinguished commentator on national security issues. Going beyond the headlines on the resolution of the Dolam crisis, it is important to look at China and its current dispensation under President Xi Jingping from a long term perspective rather than gloat over what is undoubtedly a tactical win for India. Multiple miscalculations on China's part led to Beijing painting itself in a corner over one of the longest standoffs in a series of such crises since the 1980s. While Sumdorung Chu episode in the mid-1980s took nearly eight years to be finally resolved, recent face-offs -- 2013, 2014 and this one in 2017 -- have ended relatively faster for two reasons: One, India's comprehensive national power has improved (relatively speaking), making it difficult for China to bully it over a prolonged period even though unarguably even China's economic and military capabilities have increased manifold. NEW DELHI: "The recent resolution of Doklam issue is a diplomatic victory for India," said former foreign secretary Kanwal Sibal, while M Jagadesh Kumar, vice-chancellor of Jawaharlal Nehru University said that effective deterrents cannot be ensured on imported technologies, on Saturday. These opinion and ideas were exchanged at the day-long seminar on "Comprehensive view of India's National Security" organized by JNU's Centre for Media Studies in collaboration with Global Counter Terrorism Council, which was attended by people like former Army Chief General JJ Singh, former foreign secretary, Sibal, former defence secretary, Shekhar Dutt and international security experts like professor Chintamani Mahapatra, among others. Calling upon integrated approach between the diplomacy, army and bureaucracy, Singh said: "India's diplomacy, army and other bureaucracy needs a policy of integration to deal with modern international relations and security," adding, that "Study of India's geography is important to secure our borders." The seminar deliberated on relationships with China in general and Doklam in particular. Lauding the current leadership, Sibal said: "Indian diplomacy, Army and the country's current leadership had a very clear success in Doklam crisis with China. India's position stands vindicated." Maintaining an inadequate status quo has been the preferred mode of operating in the defence ministry, and many issues fester. Elevating Nirmala Sitharaman to full cabinet rank and entrusting her with the onerous charge of the defence ministry is a welcome step and sets at rest the anxiety created by some early reports on Sunday that finance minister Arun Jaitley would continue with the dual charge. Sitharaman is the 31st defence minister, and will have the distinction of being the second woman to hold the post (after Indira Gandhi, who held the post twice while she was also prime minister). The fact that the new defence minister is a JNU alumnus is only of statistical relevance. The challenges before Sitharaman are vast, complex and range across a wide spectrum of issues, and she will have a short 20-month period to take them on before the next elections – and this could be rendered even less if the general election is called earlier than scheduled. Challenges to national security come in different forms and the recent Doklam face-off is only the most visible. From the abiding pattern of state-sponsored terrorism to low-intensity conflict (LIC) and the anxiety generated by weapons of mass destruction, to deterring conventional military threats and national sovereignty and integrity – the Indian defence minister is responsible for all this and more. Narendra Modi appeared quite off colour atop the Red Fort this I-Day. The speech was pretty pedestrian—no plan to pull down any plan panel, no plea to clean India or clog India, no bluster over Baluch, no war-chest, no 56-inch chest. Not even a new acronym. The gent looked muchly chastened. For good reason. Modi was facing the worst crisis of his tenure, similar to the one that Nehru had faced in the 1960s. Nehru had preached Panchsheel to Zhou Enlai, but Zhou coveted Aksai Chin. Modi gave Xi Jinping a dhokla lunch on the Sabarmati banks, but Xi wanted Doklam. Doklam has since been defused, and all’s well on the Himalayan heights. The gods are in Kailash; the pilgrims are on their way to Mansarovar; the troops are in the barracks; the dragon isn’t breathing fire; India is breathing free; and Modi can fly free—even to China in September. But Doklam has cost India in prestige. How? Wasn’t it a draw? Haven’t both sides backed off? Indeed, yes. But the men whom China has pulled back are a road-building party—army masons and stone-cutters who had come with pickaxes and shovels. Their combat troops will stay. The men whom we deployed, and withdrew, are the proud soldiers of the much-feted Jat regiment, who had gone with guns cocked, magazines full, and spirits high. Back to the Future in Afghanistan Trump’s “new approach” isn’t new at all, but it’s the least worst option. The options are bad in Afghanistan. We could cut our losses (2,400 Americans dead, $1 trillion spent) and depart — but that would eventually lead to another Vietnam moment, with helicopters lifting off the roof of the U.S. Embassy. Another approach would be to return to a robust NATO-led operation with 150,000 troops doing the actual fighting, which was the size of the force when I ran the Afghan war as supreme allied commander in 2009-2013. But there is no appetite for that level of commitment on either side of the Atlantic, and, frankly, the entire world wrestles with profound Afghan fatigue. So we are left with the option that excites no one: a very modest increase of troop strength (probably 4,000 U.S. forces and an equal number of allied); a “conditions-based approach” without a specific withdrawal timeline; and a revitalized regional strategy that puts more pressure on Pakistan. Sounds a lot like what was proposed in 2013 as we drew down our military forces by 90 percent and significantly cut foreign aid to Afghanistan. And yet President Donald Trump calls this a “new approach.” Will it work? What should we really be doing? Presidents George W. Bush and Barack Obama wanted Islamabad to be more assertive against terrorist groups too. 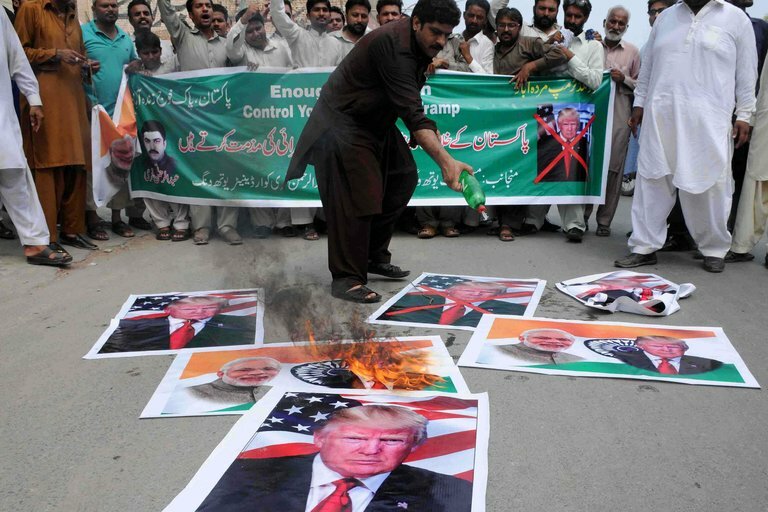 Regardless of what Pakistani military officials say in public and Islamabad’s dismissive attitude to those comments, the truth is that no nation wants to be on the other end of a tougher U.S. policy. Washington has a lot of leverage with a lot of countries around the world, and Pakistan is just as susceptible to America’s long economic reach. The question, though, is not whether Pakistan would experience pain if the Trump administration significantly decreased military and economic assistance or sanctioned top Pakistani officials for being connected to designated terrorists. The question is whether that pain will be strong enough to push Pakistan where we would like them to go. Based on the last decade and a half of Pakistani foreign policy, Trump shouldn't be surprised in the end if even a complete break in diplomatic relations with Pakistan is insufficient to compel a change in its behavior. Is Pakistan Willing to Lose America? ISLAMABAD, Pakistan — For the past 16 years, whenever the United States has been faced with the reality of a failing war in Afghanistan, it has blamed Pakistan. Efforts to bring freedom to the valleys of Afghanistan, this narrative claims, have been thwarted by a double-dealing “ally” that takes American aid while supporting its enemies. The narrative inadvertently casts American presidents, generals, diplomats, spies and others who have been part of the war effort as credulous dupes and casts poor light on the American military, stuck in a quagmire despite having the world’s most advanced weapons and largest financial resources. It also assumes that Pakistan has a clear interest in harming both the United States and Afghanistan. Pakistan joined President George W. Bush’s war on terrorism reluctantly but proved itself an effective ally in the fight against Al Qaeda and helped decimate its ranks. That contribution was sullied by Pakistan’s failure to locate Osama bin Laden in Abbottabad. A recent Taliban attack on a remote Afghan Uniform Police base highlighted the tactical difficulties that Afghan forces and the Coalition face. On multiple fronts throughout Afghanistan, the Taliban has proven capable of massing in broad daylight, overrunning Afghan outposts, bases, and district centers, often at night, and celebrating their victories, all without fear of being targeted by Afghan and Coalition air forces. A video released by the Taliban, entitled “Mansoor Goozar,” underscored the Taliban’s ability to take the fight to Afghan forces, often with little to stand in their way. In the video, a large Taliban force traveled in a convoy to an assembly area during daylight. The convoy was clearly identifiable as Taliban; the trucks were flying the Taliban’s white flag and the fighters were well armed. Once they reached their destination, the fighters stopped to pray. Again, this occurred in broad daylight. The Taliban then assembled for their assault of the Afghan Uniform Police base. During the attack, which began after dark, the Taliban coordinated their actions using radios and set up support by fire position to aid in the assault. As armed conflict escalates in Myanmar’s western Rakhine State following attacks by ethnic Rohingya militants against state security forces, the war of words is raging in state media, at military press conferences and over social media. The nature of truth in Rakhine State has always been hotly contested, with hyperbolic narratives constructed by all sides often in a state-imposed void of access for independent media or researchers to ascertain hard facts. The newly emergent armed group known as the Arakan Rohingya Salvation Army (ARSA) staged armed attacks on an estimated 30 police outposts and an army regimental base in the Rakhine Townships of Maungdaw, Buthidaung and Yathedaung on August 25, timed to coincide with the previous day’s release of the long-anticipated Kofi Annan-led Rakhine Advisory Commission report. BEIJING (Reuters) - China has appointed new commanders of its army and air force in a reshuffle ahead of next month’s Communist Party congress, as President Xi Jinping brings new blood into the military’s top ranks amid an ambitious modernization program. China’s armed forces, the world’s largest, are ramping up their capabilities with new equipment like aircraft carriers and stealth fighters as the country pursues a more assertive stance in the disputed East and South China Seas and seeks to project power far from home shores. The new army chief, Han Weiguo, is not a high-profile figure but has risen rapidly, with three promotions since 2015. He was also commanding officer in charge of a military parade in Inner Mongolia in July overseen by Xi to mark 90 years since the founding of the People’s Liberation Army. Han had previously served as head of the central theater command, a military district that includes Beijing and a large swathe of central China. His new position was announced by state media on Friday. The army has been less of a focus of the military modernization, with more resources poured into the air force and navy that have increasingly been carrying out drills in distant regions. There has been an apparent shift in the Islamic State’s position on whether or not women can participate in combat. While female suicide bombers were used extensively by the Islamic State’s predecessor group, al Qa`ida in Iraq, the Islamic State strictly mandated that women should be wives and mothers rather than fighters. With the group under pressure and facing recruitment challenges, two recent announcements suggest it has lifted its moratorium on women combatants, a shift that could have significant implications for regional and international security. On July 8, 2017, an image emerged from Mosul in which a young woman was shown cradling a baby as she walked through the ruined streets of the old city, flanked by members of the Iraqi security forces.1 Moments after the image was captured, the woman—who remains, as of yet, unidentified—allegedly detonated an explosive device that had been concealed in the bag at her side. The explosion was reported to have killed the woman and her child, and injured a number of civilians in the vicinity, as well as two Iraqi soldiers. As the battle for Mosul drew to a close after more than nine months of intense urban warfare, reports such as this one have emerged with increasing regularity. Indeed, by mid-July, more than 30 women were alleged to have engaged in suicide operations.2 The Islamic State has not yet claimed any of these attacks, and it could be that it never will. Regardless, the surge of reports regarding alleged female suicide bombers in the Islamic State’s territories raises important questions regarding the organization’s position on women’s participation in war. On 17 August, the worst terrorist attack in Spain since the 2004 Madrid train bombings, which killed 191 people, occurred in Barcelona on Las Ramblas, the famously upbeat Catalan city’s central pedestrian promenade. The attack itself killed 14 people and injured at least 100 others; the attacker stabbed another man to death while hijacking his car and escaping in it; and another person was killed in a linked incident in Cambrils a day later. As in the attack in Nice in July 2016 and subsequent ones elsewhere in Europe, men drove large vehicles into crowded areas frequented by foreigners. People from more than 24 countries were killed or hurt. Of the 16 fatalities, six were Spanish, three Italian, two Portuguese, one Belgian, one Australian-British, one German, one American and one Canadian; two were children. The targeting thus appeared to reflect the terrorists’ ruthless indiscriminateness, as well as their desire to degrade Spain’s appeal as a tourist destination and thereby damage its economy. Shortly after the attack, the Islamic State, also known as ISIS or ISIL, took credit for it, proclaiming that its ‘soldiers’ had again responded to its exhortations. This characterisation suggested that ISIS central command in the Middle East had merely inspired or endorsed the Barcelona attack, and had not planned or directed it. The Spanish people and government have been especially earnest and effective in rejecting Islamophobia, both in general and in the wake of the Barcelona attack; the alienation of Muslim communities does not appear to be as severe in Spain as in some other European countries. Nevertheless, the attack highlights Spain’s standing vulnerability to jihadist terrorism and illuminates other troubling factors. The American slice of the global GDP pie is shrinking. In 1960; U.S. GDP represented 40% of the global total. By 2014, that share had shrunk to 22%. The decline is relative — America's economy is much larger now than half a century ago, but other countries have grown much faster. Most notably China, the economy of which trebled over the same period, from close to 5% back then to around 15% now. And, as shown by this recent Voronoi diagram (1), first published in July 2015, the American slice is still by far the biggest one. Of course, there are several ways to measure GDP. One could argue that China's share should be bigger by now, or that it has already overtaken the U.S. It certainly has for industrial output — the middle of the three shades contained within each slide. The U.S. is overwhelmingly a service-based economy (darker shade), with a relatively small contribution by the agricultural sector (lighter shade). Last week Tom Ricks offered us his “Top Ten list” of books any student of military history should read. The FP staff asked me to follow suit with some of my favorites from the world of international politics and foreign policy. What follows aren’t necessarily the books I’d put on a graduate syllabus; instead, here are ten books that either had a big influence on my thinking, were a pleasure to read, or are of enduring value for someone trying to make sense of contemporary world politics. But I’ve just scratched the surface here, so I invite readers to contribute their own suggestions. 1). Kenneth Waltz, Man, the State, and War. An all-time classic, which I first read as a college sophomore. Not only did M, S & W provide an enduring typology of different theories of war (i.e., locating them either in the nature of man, the characteristics of states, or the anarchic international system), but Waltz offers incisive critiques of these three “images” (aka “levels of analysis.”) Finding out that this book began life as Waltz’s doctoral dissertation was a humbling moment in my own graduate career. Congress is tackling a series of proposals designed to gradually change Brazil's unstable political system. Measures that will reduce the number of political parties and create a public fund to finance electoral campaigns will likely take effect next year. Reforms to change Brazil's presidential system to a parliamentary system, however, won't come up for discussion until next year and, if approved, will take effect in 2022. The number of political parties in Brazil's legislature has long been one of the government's biggest problems. Unstable, unreliable coalitions and corruption scandals have become regular features of the country's political system, thanks in large part to the more than 30 parties registered in Brazil today. Calls for a change in the system have grown louder in recent years, particularly in the wake of the latest corruption probe — the largest to date — and the government is starting to work toward reform. But progress will be slow and incremental. Unlike many other democracies, Brazil has few laws in place to limit the creation of political parties and doesn't require groups to win a minimum percentage of the vote to reach the legislature. The number of parties registered in the country has surged in recent years to reach 35, 26 of which are currently represented in the National Congress. For Brazil's executive branch, the state of affairs is becoming increasingly untenable. On taking office, every new president immediately faces the task of forming a ruling coalition from among the legislative branch's myriad parties, each with its own motivations and objectives. It's a daunting undertaking, and one that often requires the executive branch to curry favor with political parties that have diverging views by offering them ministerial offices and posts in state-owned companies in exchange for their cooperation. The resulting coalitions are fragile and fickle. Their constituent parties, moreover, regularly use their posts for their own financial and political gain. And since it's not unusual for members of Congress to switch parties after they are elected, getting a clear read on the government's composition, and that of the ruling coalition, can be next to impossible. Is technology a threat to human intelligence? Some have been critical that defense and intelligence agencies appear to under-prioritize, under-resource and neglect human intelligence (HUMINT), as evidenced by declined funding. To some degree, this is in favor of remote intelligence collection using modern and technological intelligence disciplines, including signals intelligence (SIGINT), image intelligence (IMINT) or communications intelligence (COMINT). These disciplines take intelligence from signals intercepts and both manned and unmanned assets in response to an increasingly complex world posing threats to human assets on the ground. 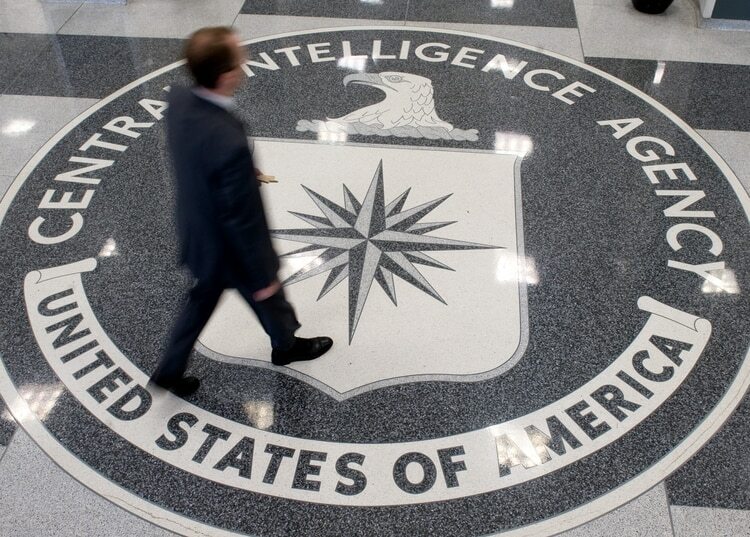 HUMINT, according to the CIA, is collected through clandestine acquisition of pictures, documents and other materials, overt collection by personnel overseas, debriefing of foreign nationals abroad and official contacts with foreign governments. This perception of less reliance on HUMINT is best exemplified by a recent profile of a former U.S. diplomat by the Wall Street Journal, which points to potential pitfalls of relying solely on technological forms of intelligences at the perils of incorporating human intelligence. As the volume of HUMINT gathered from personal relationships began to decline, “In its place, policy makers in Washington turned to another form of information — the kind collected electronically and surreptitiously,” the profile said, citing security concerns in volatile Middle Eastern and South Asian countries post-9/11 preventing direct human contact. Does the military need Armed Forces Tribunals? The AFT was intended to reduce military related cases in civil courts. Instead, the backlog in defence-related cases has increased from 9,000 to 16,000 after the AFT's creation. In an important move towards reforming departmental justice across the board, but especially for the military, the Supreme Court issued the central government a show cause notice on August 25, asking why its recently promulgated rules for the Armed Forces Tribunal should not be struck down. The apex court was responding to a writ petition, filed by Punjab and Haryana high court lawyer and founding president of the AFT Bar Association, Navdeep Singh, through Supreme Court lawyer Aishwarya Bhati, seeking reforms of the AFT and a check on 'excessive tribunalisation'. Soldiers, sailors and airmen are required to petition the AFT for justice, rather than civil courts. The world is becoming arguably more complex. Actions are no longer directly relatable to lethal effect if measurable at all. As ground forces conduct operations in a continuously changing operational environment, a commander must strive to understand these linkages to achieve the military objective. Until FY16 MTOE change, a Brigade Combat Team’s staff included a primary staff officer trained in both systems analysis and integrating non-lethal information related capabilities with the execution of military operations at all levels. The S7-Information Operations Officer is the subject matter expert trained in analyzing the information environment’s physical, information, and cognitive components and recommending when, where, and how to positively affect the entire operational environment. This critical staff position must return to the brigade level to ensure the commander fully utilizes every available asset within their formation. The Army has made enormous strides in recent years to facilitate professional dialogue under the auspices of Army University, the Army Press, and improvement of branch journals. The most important of these changes is the doctrinal adoption of Army Mission Command philosophy. While Mission Command in many ways codifies the obvious, including it in doctrine makes the change official. Fully implementing Mission Command, however, requires more than a veneer of leader training and superficial emphasis on decentralization. Mission Command will fail if not fully embraced and understood. Education can only partly address this problem as the systems used by Soldiers implicitly affects their actions. The Army should examine how our Command and Control systems affect Mission Command; do our systems help foster a climate of subordinate initiative and collaboration, or do they encourage top-down micromanagement? As currently utilized, our digital, data-intensive systems create a seamless, but fictional Common Operational Picture (COP), at the cost of substantial time and resources. The fog and friction of war cannot be eliminated, proposing otherwise is fallacy. Consequently, Army Mission Command Systems (MCS) actually inhibit the practice of Mission Command. These systems present themselves as tools to enhance situational awareness, but often produce the opposite: a false picture that acutely inhibits subordinate initiative as we fixate on systems rather than operations all at the expense of time, effort, and large command posts (CPs). Fixing MCS can enable Mission Command across the force. As artificial intelligence alters work done in all manner of industries, companies and governments can help workers transition by supporting incomes and facilitating skills training. The pressure is on for companies and governments to address the ways that artificial intelligence (AI) is altering the future of work. In this video, recorded at the Aspen Ideas Festival in June, experts—Markle Foundation CEO and president Zoë Baird; Joy Buolamwini, founder of the Algorithmic Justice League at MIT Media Lab; James Fallows, national correspondent of the Atlantic; and Coursera cofounder Andrew Ng—discuss how to make the transition into this new age easier for everyone. Andrew Ng: AI is the new electricity. About 100 years ago, we started rolling out electricity in the United States, and it changed every single major industry, everything ranging from healthcare and culture to transportation, communications, and manufacturing are now all electricity powered. We now see a surprisingly clear path for AI to also transform every single major industry. Everything ranging from much better healthcare to more personalized education to much more efficient retail and manufacturing to self-driving cars. This will displace a lot of jobs, everything ranging from call-center operators to, when self-driving cars come, the millions of truck drivers and maybe taxi drivers whose jobs will be affected. But this is true for white-collar and blue-collar workers. The world is alive with artificial intelligence, machine learning and natural language processing. IBM’s Watson made headlines by besting Jeopardy champions while more recently, Google’s AlphaGo defeated several acknowledged champions in the board game Go. Companies pursue numerous solutions to apply the latest technologies and add to their product lines: Amazon uses its algorithms to give better product recommendations; Facebook is looking to establish (and now create) even more connections among social media users; meanwhile, IBM is advertising Watson as an analyst who ostensibly brings productivity and efficiency to companies that use it. As in industry, defense is attempting to leverage these same technologies to solve military problems. Computer vision helps imagery analysts recognize potential targets faster; sustainers can project Stryker maintenance needs with machine learning; and the intelligence community uses deep learning to conduct pattern analysis to discover unseen linkages in threat activity. Unfortunately, these efforts fall short of the goal the Mission Command Center of Excellence has in mind when thinking of artificial intelligence (AI)—a true assistant that aids in understanding the operational environment while supporting the operations process. To achieve this goal, the Army must look further out and attempt to simultaneously unify and integrate multiple disparate tools under the banner of general artificial intelligence. MICROSOFT SAID LAST week that it had achieved a new record for the accuracy of software that transcribes speech. Its system missed just one in 20 words on a standard collection of phone call recordings—matching humans given the same challenge. The result is the latest in a string of recent findings that some view as proof that advances in artificial intelligence are accelerating, threatening to upend the economy. Some software has proved itself better than people at recognizing objects such as cars or cats in images, and Google’s AlphaGo software has overpowered multiple Go champions—a feat that until recently was considered a decade or more away. Companies are eager to build on this progress; mentions of AI on corporate earnings calls have grown more or less exponentially. Now some AI observers are trying to develop a more exact picture of how, and how fast, the technology is advancing. By measuring progress—or the lack of it—in different areas, they hope to pierce the fog of hype about AI. The projects aim to give researchers and policymakers a more clear-eyed view of what parts of the field are advancing most quickly and what responses that may require. 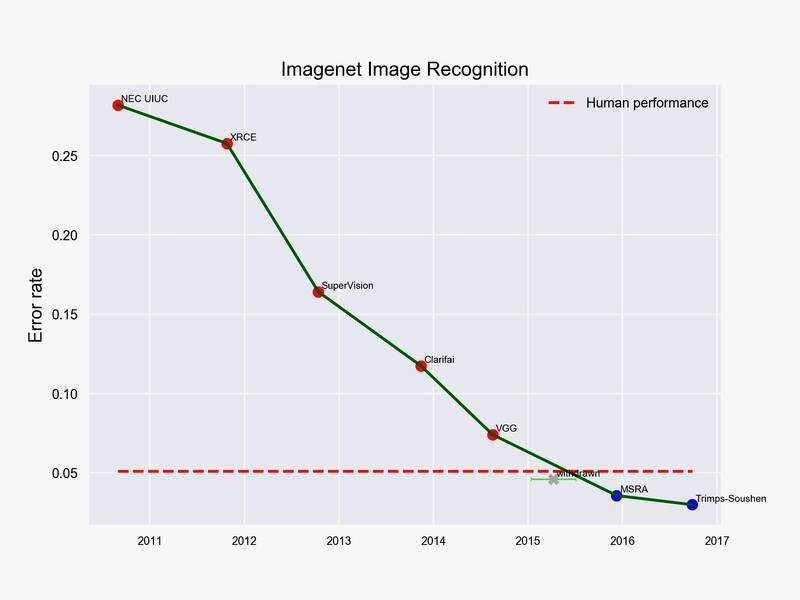 Image recognition software out-performed humans on the standard ImageNet test in 2016. Prior to the establishment of a separate United States Air Force (USAF) in 1947, civilian and military theorists began developing concepts for how the military might exploit space-based capabilities. As these ideas matured over the next half century, the space domain became an integral part of routine military operations. With the creation of the Advanced Research Project Agency’s (ARPA) information network, ARPA-net, in the late 1960s and concurrent developments in computer science, the cyberspace domain began to take form and has matured into a unique military domain. These two domains have changed the traditional notions of what constitutes war by expanding war into a global and continuous enterprise, by demanding a premium on rapid technological innovation, and by creating a potentially dangerous uncertainty in the military decision calculus. The space and cyberspace domains have allowed military operations to occur across the globe and in a continuous manner. Prior to the militarization of space and the introduction of networked computer technology, warfare occurred on a global scale, but physical distance largely isolated field commanders from conflicts in other theaters and from rearward headquarters. Military operations occurred in the traditional domains with a great amount of uncertainty, and information sharing, at its best, occurred by wire, wireless radio, or aircraft message delivery. With the introduction of the satellite, commanders and staffs could communicate over vast distances, know their precise location, and receive space-based intelligence products, meteorological data, and missile warning. Moreover, satellites can provide data and communications to multiple theaters through ground-based, computer-operated information architectures. As cyber operations have come into their own, they show the same capability to effect areas separate from their location and require the same kind of continuous use. Combined or apart, space and cyberspace provide means of a continuous, global power projection unlike what is available from the traditional domains.